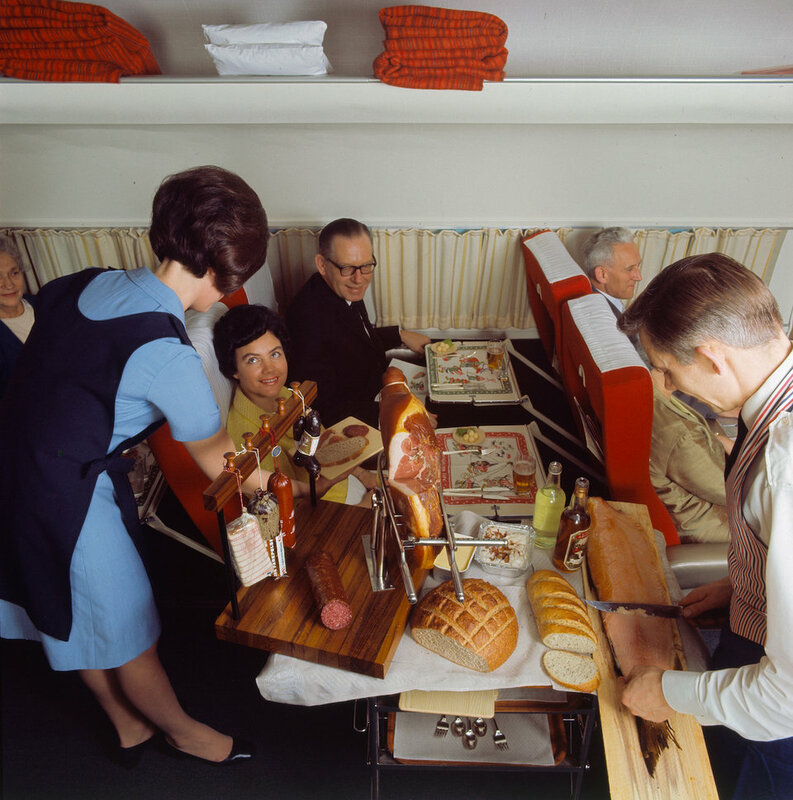 Of the many things travelers dislike about flying, plane food is often high on the list. 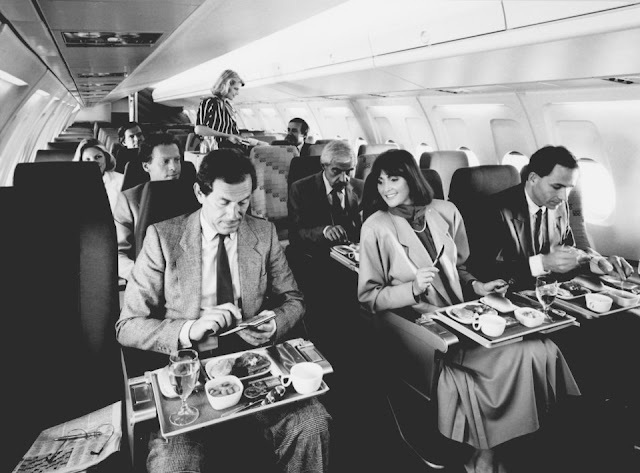 But in-flight dining hasn't always been bland. 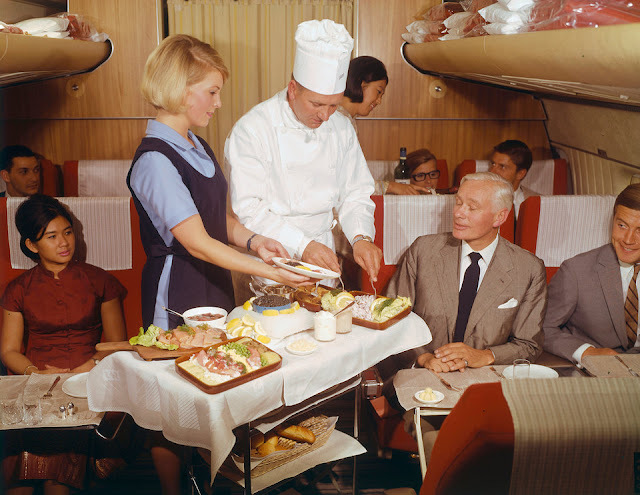 These vintage photos from the collection of Scandinavian Airlines show passengers from the 1950s through to the 1980s enjoying gourmet meals such as caviar, lobster, and a whole leg of ham at 35,000-feet. 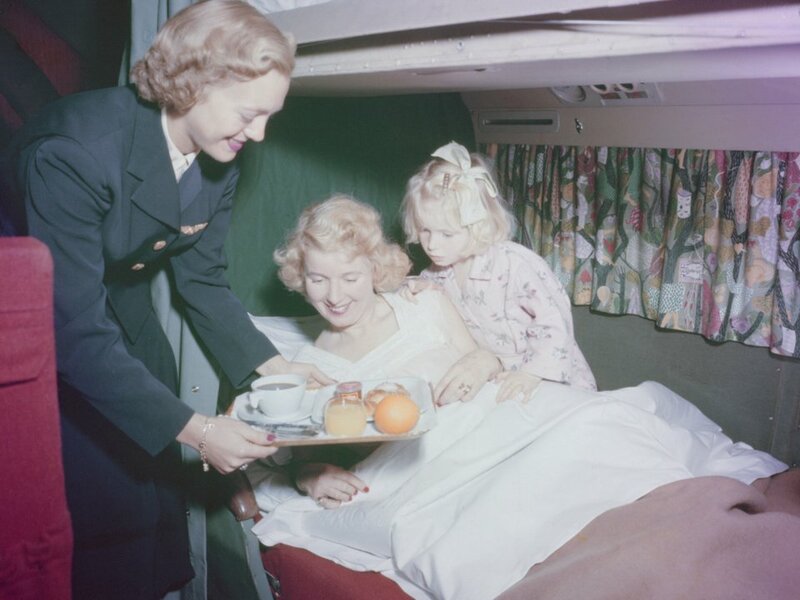 In the 1950s, passengers in sleeper cabins on a DC-6 aircraft were served an in-flight breakfast in bed. 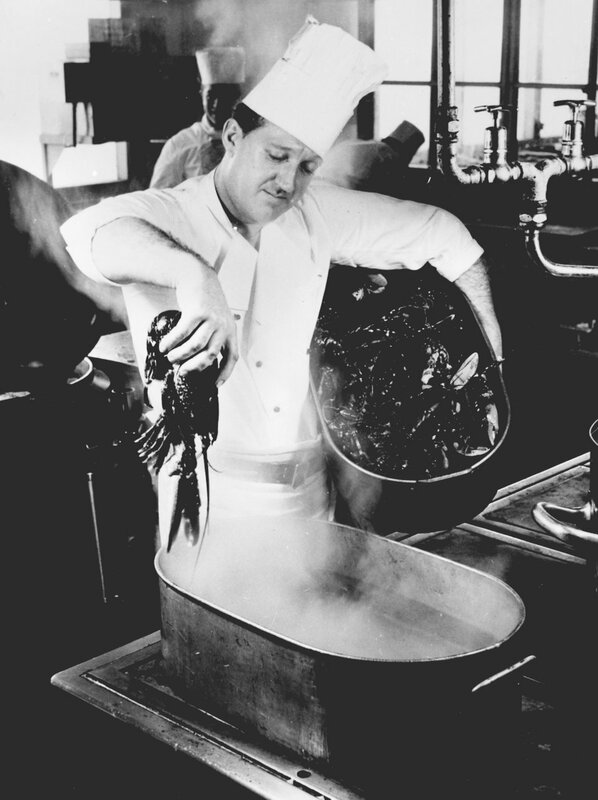 In this photo, taken either in the 1950s or 1960s, a Scandinavian Airlines chef prepared lobster in the flight kitchen at Kastrup Airport in Copenhagen. Yes, even lobster was on the menu. Dinner trays looked very different in the 1960s, when they included real plates, a glass, and metal cutlery. 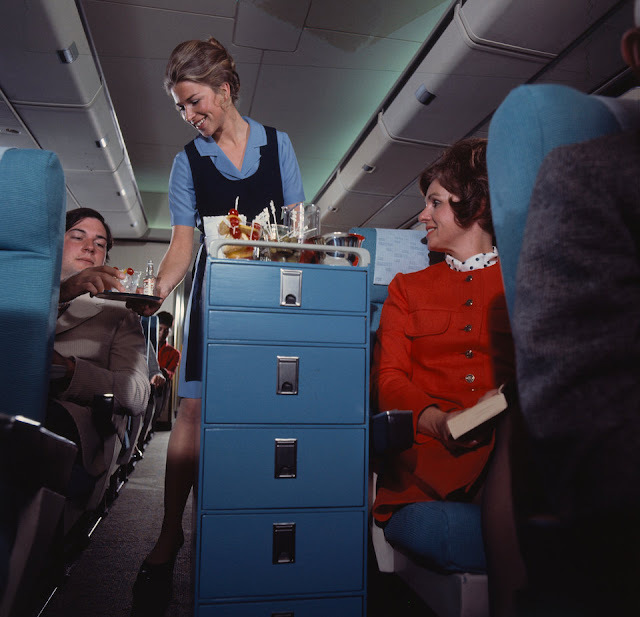 A woman traveling with her baby on board a flight in 1968 was offered baby food in jars, provided by the airline. That year, Scandinavian Airlines started a service for children. 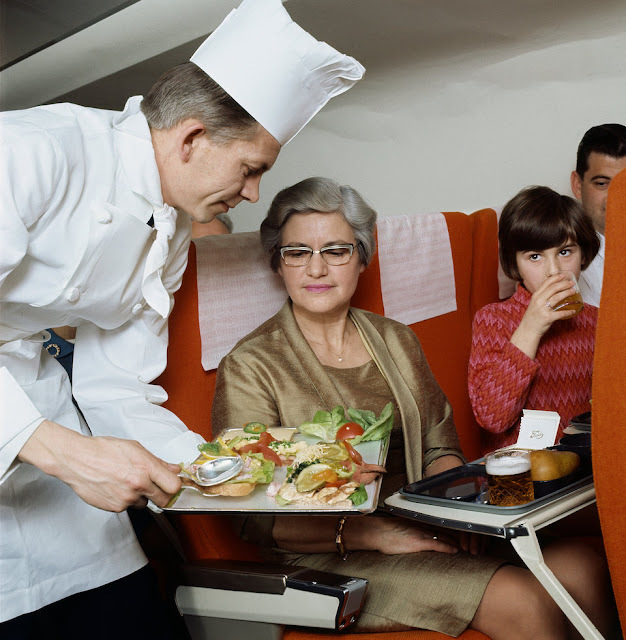 Back in 1969, some passengers were served meals directly by an in-flight chef. Here, the chef is dishing up Smørrebrød, a type of Danish open sandwich (rye bread topped with meat or fish and cheese). 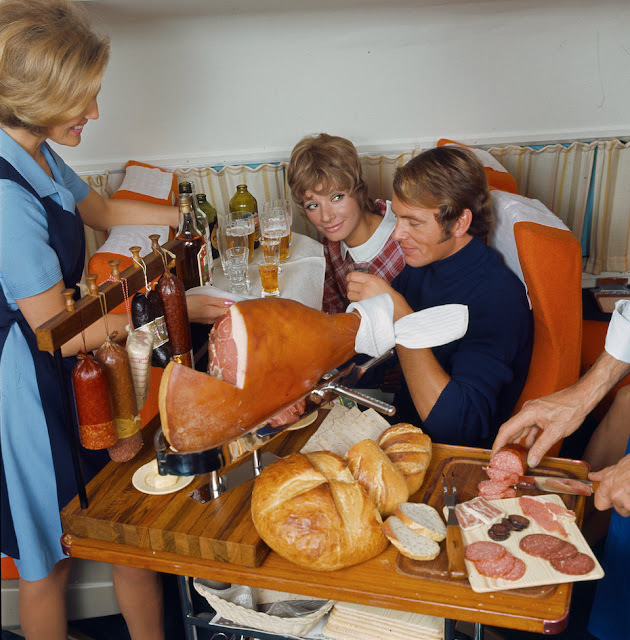 That same year, passengers in first-class were treated to a hearty meat feast that included an entire leg of ham, salami, and other sausages served with bread and beer. 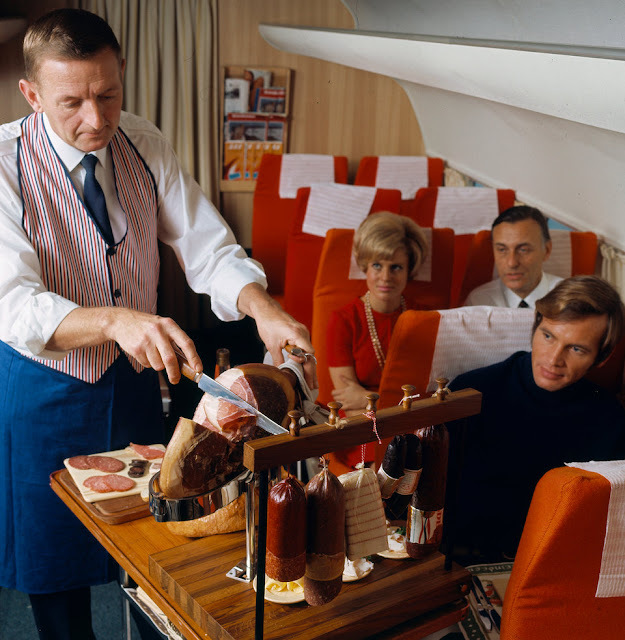 The ham was sliced with a large knife (now strictly not allowed on planes, for obvious reasons) in front of passengers. This would never happen today. In case that meal wasn't sumptuous enough, there was also fresh salmon, again served in front of fliers. 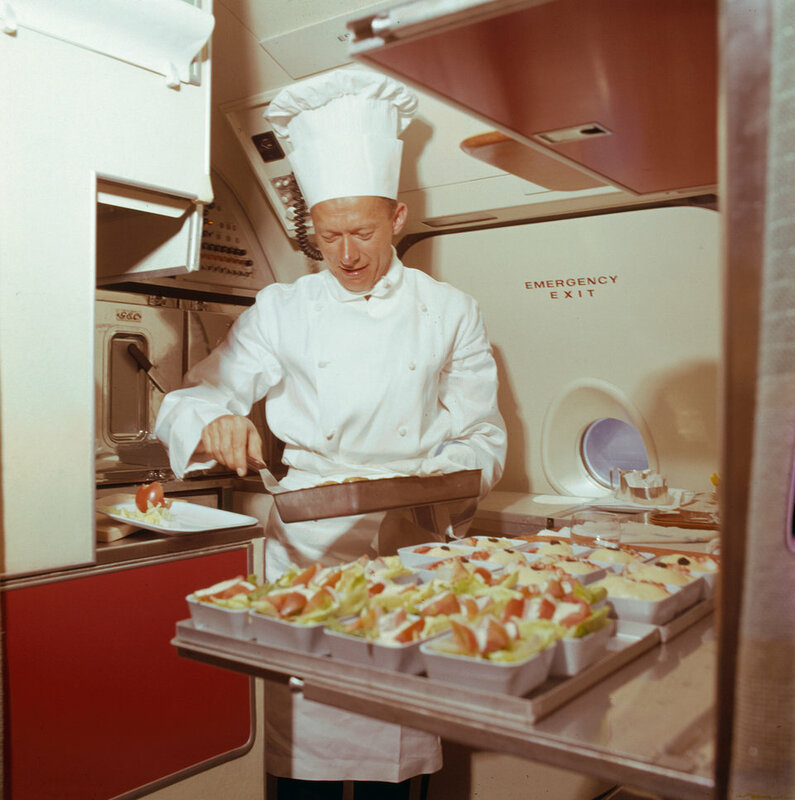 Fliers were also spoiled with a lavish spread including caviar, served up by the chef himself. This photo from the 1970s shows the airline's chef preparing passengers' meals in the pantry. 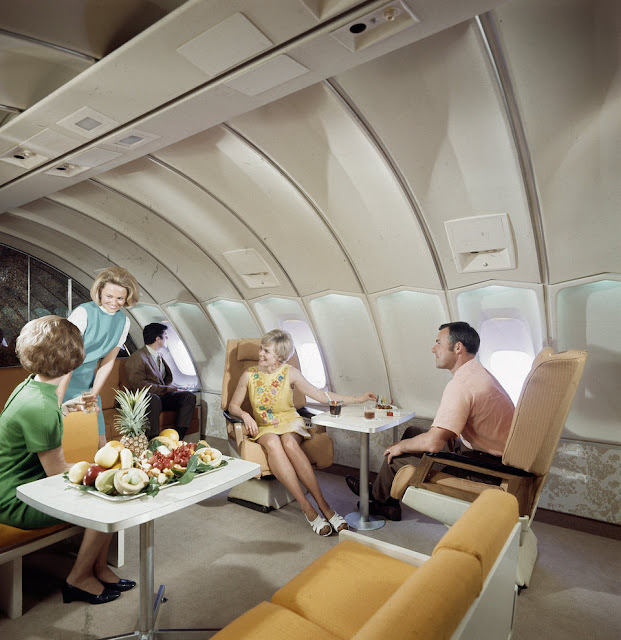 When they weren't gorging on caviar and lobster, first-class fliers in the '70s snacked on huge fruit platters — including a whole pineapple — served in a spacious lounge area. 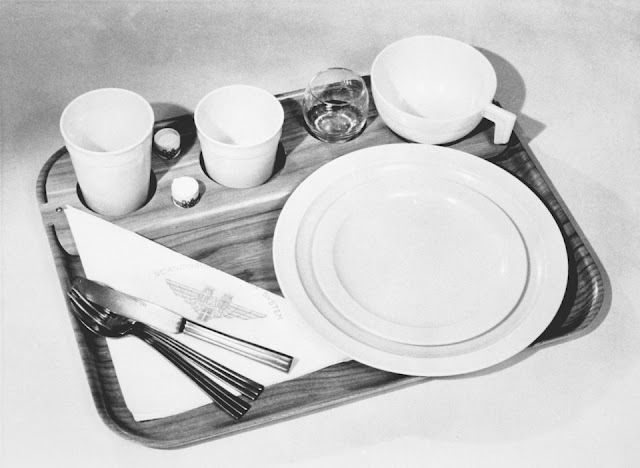 Moving into the 1980s, airline dining became a little less glamourous, as passengers ate out of trays that look more like the ones modern fliers are used to. At least there were cocktails, though.